There are four areas that a computer user interfaces with: the monitor, the keyboard and mouse, the chair, and the lighting of the environment. Setting up these interfaces with good ergonomics and guidelines as well as maintaining a good posture will enhance your comfort and efficiency as well as prevent repetitive stress injuries. Place the center of the screen at a 15 degree down angle from your eyes with your neck only slightly bent holding your head perpendicular to the floor. The top of the monitor should be roughly equal height to your forehead. Do NOT use a wrist rest while actively typing. It’s meant to rest on not to lean on when working. Hold your hands and arms off of any supports while typing. Do NOT use the keyboard supports to raise the back up. Do NOT tilt the keyboard tray so that the back of the keyboard is higher than the front. Though design and a lot of prevailing information say you should tilt the keyboard to a positive angle like this, it is wrong. A negative angle that allows the wrists to stay in their natural wrist position is better. A positive angle is a repetitive stress injury waiting to happen. Place the mouse on the same level as and immediately next to the keyboard tray. Keep the mouse in the arc line of the keyboard so that you can reach it when rotating your arm from the elbow. If your keyboard has a number pad, consider switching to use the mouse with your left hand. This will keep your elbow and wrist closer in line with your body and reduce strain on your shoulder muscles. Place the lumbar support slightly below the waist line. Adjust the height of the chair so your feet can rest completely on the floor. Allow 1-3 inches between the edge of the seat and the back of your knees. The office should be moderately bright (20-50 foot candles or equal to a nice day where sunglasses aren’t needed). Do not use task lighting for computer work. Dr Gertz can offer specific advice for your personal ergonomic needs. He also can perform an onsite evaluation for you or others in your company. Please contact him for further information. 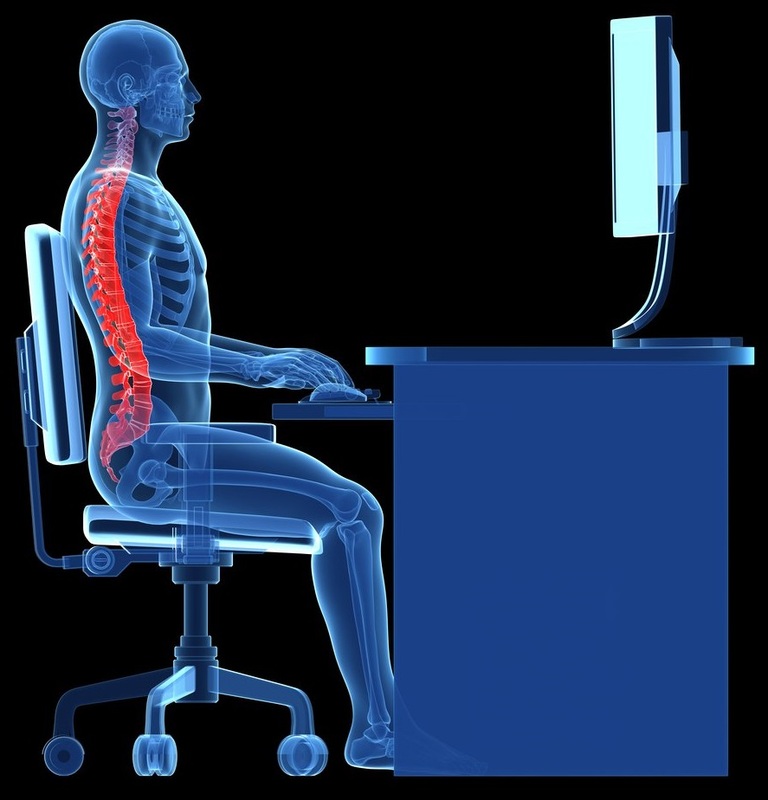 If someone you know is suffering from the results of poor work ergonomics needlessly, start with calling our office to schedule yourself, or someone you know in for a check up appointment to see what treatment options are available to you. 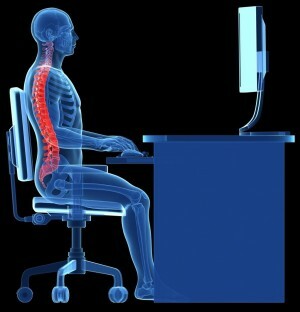 Posted in Articles and tagged back pain, chiropractic care, computer set up, computer setup, desk height, desk setup, Ergonomics, forward head posture, headaches, monitor setup, neck pain, neck strain, poor posture, Posture, shoulder pain, Work Station, yaletown clinic by The Back Doc.